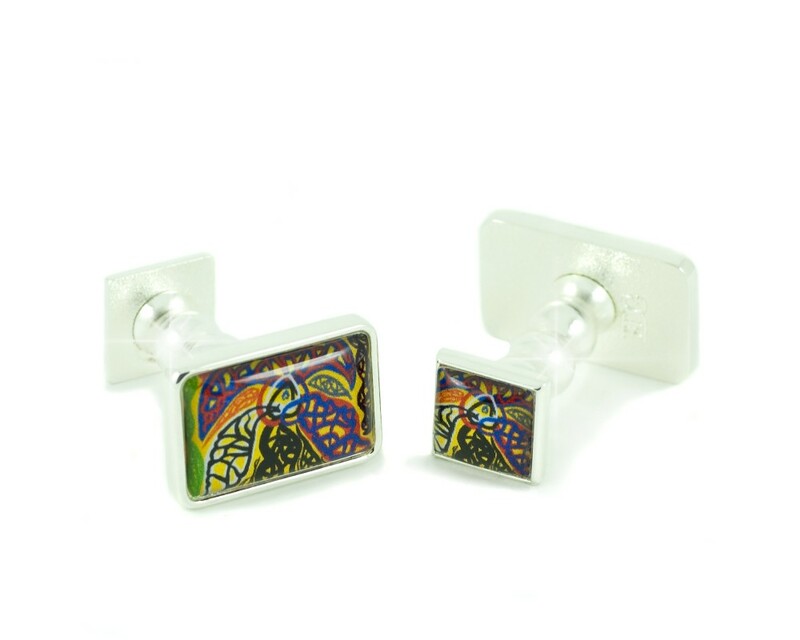 The Caernarfon Cufflinks are the perfect Men's fashion accessory. All EDG designer cufflinks are unique with the inside link duplicating the design of the outer link, so that the cufflinks look great from both sides. 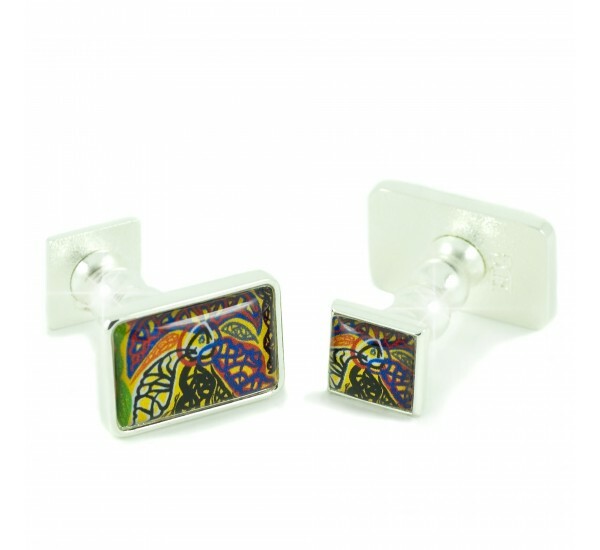 One of our favourites, these superb cufflinks are a riotous Collection of ethnic images & colours. Set on a background of yellows with contrasting greens, blues, reds & orange this collection will show your exuberant side. Dare to be different! A Great Gift for any Occasion! The Caernarfon collection is in highly polished Silver finish.